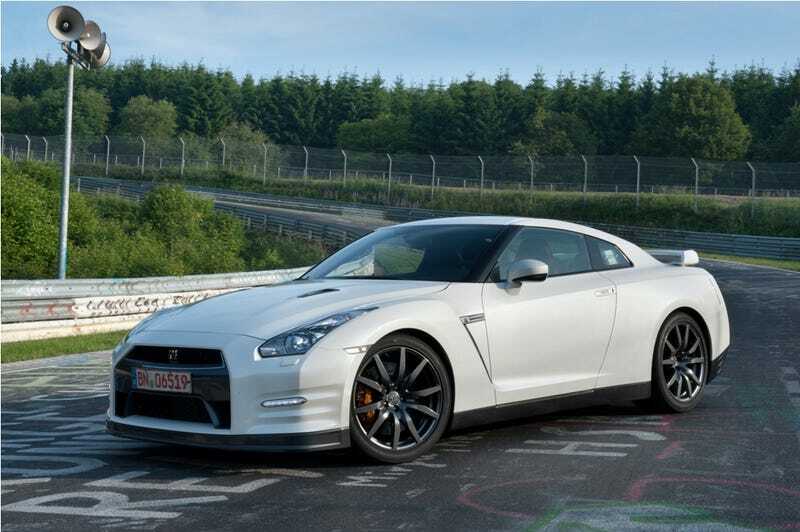 An overnight spec-drop from the Land of the Rising Sun confirms the 2012 Nissan GT-R is the Car of the Rising Power with a 45 horsepower bump, which is enough to drop the Nurbürgring time to a Corvette ZR1-confounding 7:20. 2012 Nissan GT-R To Top 500 HP? The new 2012 GT-R is now more than just slightly revised aerodynamics. According to NAGTROC, the 2012 model adds more power through added boost, larger exhaust piping, modified valve timing, and a few other tweaks. The new GT-R now makes 530 hp at 6,400 RPM and peak torque of 450 lb-ft from 3,200-6,000 RPM. They've also attempted to preempt any jokes by mentioning there's an upgrade to the transmission programming as well. Not surprisingly, they've extended the number of editions to six: Club Track (racing-only), EGOIST (super customized), Pure Edition, Black Edition, Premium Edition, and SpecV. Magically, the 'Ring time dropped from 7:26.4 to 7:20, enough to best both the ZR1 and Porsche 911 GT3 RS. More info as it gets translated and verified.